Shooting stars fell like neon pebbles, striking the planet with a delicacy unknown to all but those that inhabited it. A cute girl with white hair, late teens, perhaps, floated elegantly over a narrow stream that sat between two pairs of craggy hills beneath the star shower. The shooting stars were small, each no larger than the size of a fist. They set ripples across the slowly moving water as they hit the surface, puffing stardust back into the air above. She dodged each star with an equal amount of grace. “I’ve got it,” said the white-haired girl, bringing her levitating stride nearly to a halt above the water. At first, it appeared she was talking aloud to herself, but then a figure emerged from the shadows near the crags, somewhere the light of the falling stars couldn’t reach. “Yes, Skyriss?” the figure asked as she unsheathed a pen from her robes. “Starbluff Summit?” echoed the Drifter on the riverbank. The Drifter listened intently to Skyriss’ words. “Add that to the records. I want to see that name when I look at this location on the map. It’ll serve as a reminder of lessons learned from the past,” explained Skyriss. Skyriss and her colleague continued drifting and writing, following the stream until it plunged into a drop-off. Just when one thought that the riverbed was the very bottom, it became clear that the stream and its surrounding sharp hills were the tip of a high mountain. But how could a bunch of pointed foothills and enough flat land for a stream be at the top of a mountain? Eeventide was full of surprises. Flashes of gold energy surged through the skies as a legion of angels with antlers began assailing the partially rebuilt Skyborn castle. They brought with them a torrent of rain and thunderclouds, brandishing blades of all colors, shapes and sizes. Frightened Skyborn Drifters rushed out of the castle only to be caught up in the onrush. Skyriss Delcastle, leader of the ambushed guild, rose from her table deep in the heart of the castle at the sound of her panicked guild mates. She zoomed past fearful soldiers as she rounded corners and blew past hall after hall, racing to get to the gate. The looks on people’s faces caused her to expect the worst. Hal Sinogard was an unreasonable man who ran an unreasonable guild. There was no negotiating. They were bent on total conquest. At last she arrived at the castle doors, but it was too late. It was worse than the worst. Her feet retouched the floor as she greeted her guests. “What can I do for you, Victoria? You don’t have to break in; you know you’re always welcome here.” Skyriss said in a surprisingly sweet tone. Her eyes spoke otherwise. At the forefront of the humanoid deer-like army was the beautiful Victoria. She called forward her vanguard, an even more glamorous creature they called Victory. It looked human with its sparkling eyes and plush lips, adorned in shredded cloaks masked with bright gold armor and red ribbons. It even held out a claw-like hand that looked like it was trapped within a Helver. All of this pointed to the idea that she was human, except, it had huge wings. “Can’t we can talk about this, Vic?” Skyriss found herself pleading once again. Just then lightning struck outside the castle walls, the unfinished ceiling revealing the flash. And the sound of a dragon’s wing beat could be heard, carried by the cold wind. Skyriss always knew a dragon when she heard one. Was Victoria really cold enough to be in league with Dragonis already? Suddenly a figure appeared like smoke between Skyriss and Victoria, a deep crimson mist evaporating around him as he rose from a knelt position. He had descended from the open ceiling and he made no noise other than the loud flap of his red cloak. He pushed his pointed hood back halfway, revealing a glowing red eye as he turned to face Skyriss. “Leave, Victoria! This is not your battle anymore!” shouted Skyriss, kneeling as if about to take off like a rocket. In the blink of an eye, the huge double doors came crashing down. A multitude of gigantic dragons landed in the vicinity of the destroyed entrance, leading the way for a swarm of smaller ones not far behind. A massive green drake slithered forward and swung its claws at the white-haired guild leader, but it easily ricocheted off her blue Helver with a CLANK. The Drifter in red turned 360 degrees, completely ignoring the brunette and her unit of colorful creatures in the foray. He surveyed his forces that far outnumbered everything and everyone else. Dragons and their slippery cousins, the slithes, were still coming in for a landing wherever permitted. Some had riders, Drifters clothed in various shades of red or maroon, while others flew solo. 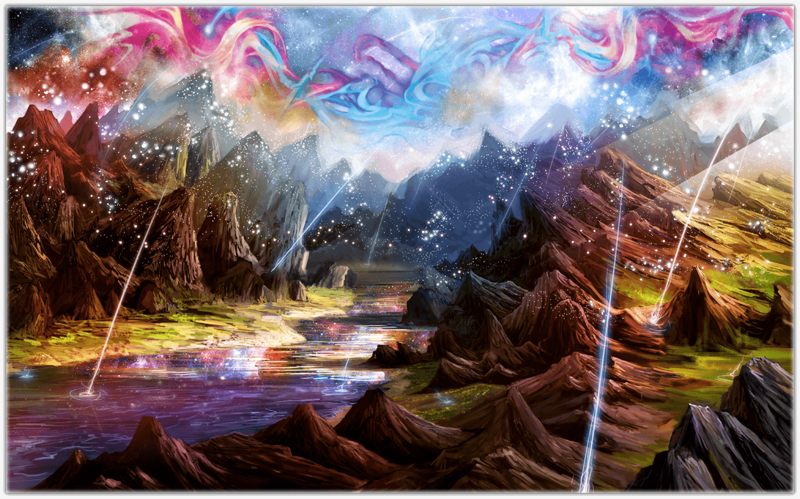 Skyriss ascended at a rapid pace, the change in altitude caused her to blackout a couple of times for half a second. She didn’t dare look down until she saw the world curving, and when she did, she felt something like relief at the sight of a man in blue soaring to match her speed. 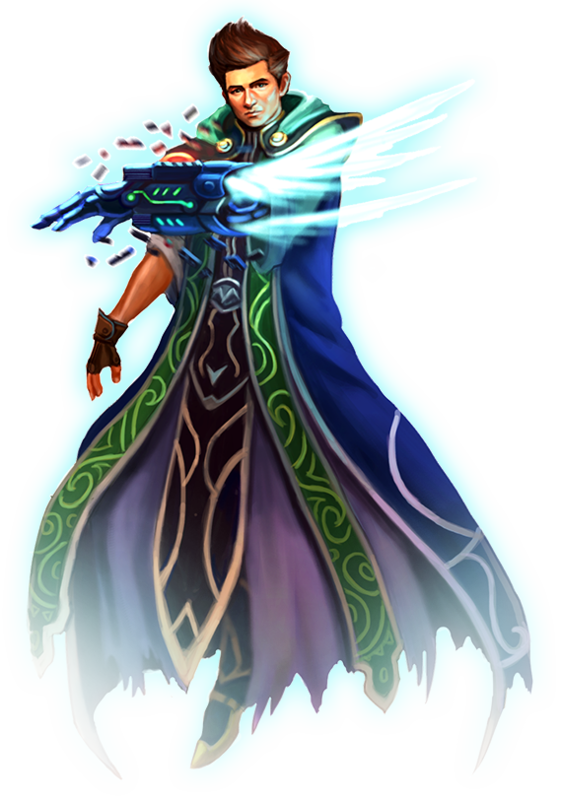 The familiar blue robes belonged to a Drifter named Karth. He was a Drifter she trusted, but he was just a Drifter. There were no more ladder rankings, high-held positions or council meetings for her Guild. All of that was abolished with the Ultimatum Disaster three months ago when the four most elite, most talented, most trusted members of Skyborn betrayed her. It was so bad; there was even a name for it. Karth shouted a status report as he approached Skyriss’ side. They were shaking from the g-forces bearing down on them as they continued to fly higher. 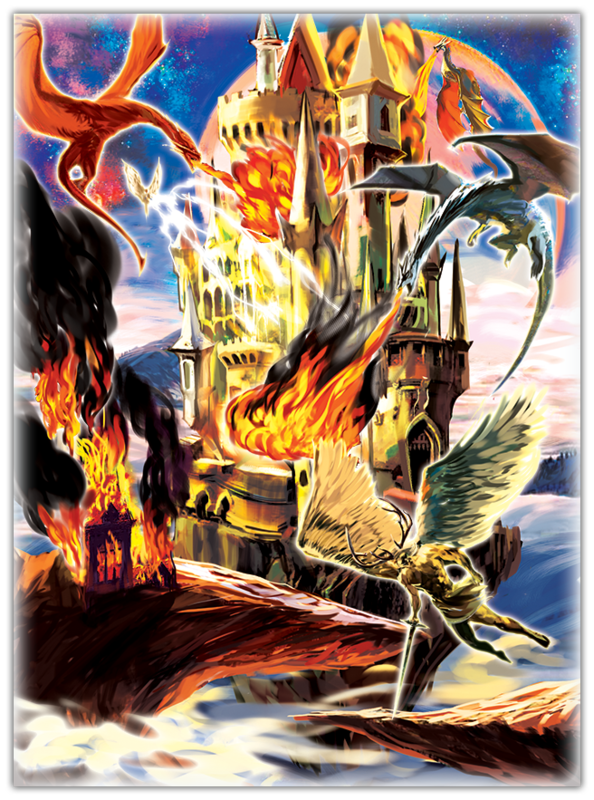 “We need to get the Dragons away from the castle before they cause more damage,” Skyriss replied after her assessment of the situation. “I know,” Skyriss agreed, now level with the earth. Her arms and legs were tucked deep within her layered robes, close to her body in order to prevent drag.